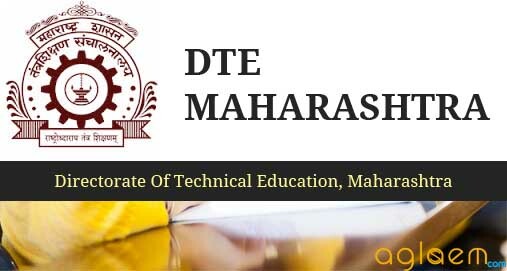 DTE Maharashtra Direct Second Year Pharmacy Admission 2018 – Directorate of Technical Education has released the notification for the eligible candidates for admission to Direct Second Year Pharmacy Course for the Academic Year 2018-19 in the Maharashtra State. Candidates can check the complete information of DTE Maharashtra Direct Second Year Pharmacy Admission 2018 application process, eligibility criteria and other information on this page below. Latest: Notification of College/Course Registration and Admissions approval Process has been released, scroll down to check the same. Reporting to the Allotted Institute and Confirmation of Admission by submitting required documents and payment of fees. Click here to check the notification regarding College/Course Registration and Admissions approval Process. Click here to check circular regarding Validity & NCL Submission as on August 31, 2018. Click here to check Circular Regarding Validity & NCL Submission for Open Seat types as on August 31, 2018. Click here to check Notice regarding uploading Caste/Tribe Validity Certificate. Click here to View Provisional Allotment For CAP Additional Round. Click here to check Provisional vacancy Position for CAP Round III. Click here to check View Provisional Allotment For CAP Round II. Click here to check View Provisional Allotment CAP Round I. All the eligible Candidates who have submitted the Application Form on or before the last date specified for the submission of Application Form for Admission through CAP will be assigned a merit number. The merit list has been prepared on the basis of marks obtained by the Candidate on the basis of which Diploma will be awarded by the examining authority. 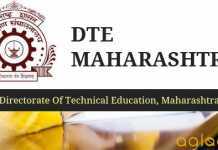 DTE Maharashtra has release provisional Merit list on the official website. Direct Second Year Pharmacy: The eligible candidates can fill the application form through online mode. Application Fees for General Category Candidates, Outside Maharashtra State Candidate and Children of Indian workers in Gulf Countries, is Rs. 800/- and Reserved Category candidates from Maharashtra State and Persons with Disability candidates from Maharashtra is Rs. 600/- and for Children of NRI / OCI / PIO, Foreign National is Rs. 5,000/- (Online Payment Only. ) The candidate should fill the Online Application Form as per schedule. The list of the Facilitation Centers shall be published on the website. The Facilitation center shall facilitate the candidate to fill the Online Application Form, scan and upload the required documents without any charges. The candidate who is either Domicile of Maharashtra and/or is born in Maharashtra. Passed Diploma Course in Pharmacy with at least 45% marks (at least 40% marks in case of candidates of Backward class categories and Persons with disability belonging to Maharashtra State only) from an All India Council for Technical Education or Pharmacy Council of India or Central or State Government approved Institution or its equivalent. The seat will be allotted to the qualified candidates on the basis of the ranking and streams. The candidates who will take part in the counseling procedure for that candidates only the seats will be allotted. The total number of the seat will be depended on the government and non-government based institutes. The total numbers of the seat available are 170. The reservations given below will be applicable to candidates belonging to Maharashtra State only. Reservation for Backward Class category Candidates: The percentage of seats reserved for candidates of backward class categories belonging to Maharashtra State is as given below. The percentage of reservation is the percentages of the seats available for Maharashtra candidates, coming under the CAP. Backward class candidates will claim the category to which they belong to at the time of submission of application form for CAP. direct second year in Diploma or bachelors? ?